LOVE this place! When my Mom had cancer, the budtender was super helpful with recommending just the right oils to deal with the effects of radiation. I am super impressed with the move (They used to be upstairs) The prices are great, the atmosphere is comfortable and Betty is super knowledgeable,she is by far more educated than any budtender I have met this far. Love this location. Perfect range of selection, and always something delicious in stock. They seem to have listened to the reviews of people complaining that they didn't have high quality enough strains for their personal preferences, so now after looking at their menu I see I've been priced out of this store and will have to find another. Too bad, because this one's the most convenient, and the happy hour worked well for me. I buy only budget OZ's, but apparently the people who have/use their voices want expensive strains without regard for people on a budget. Time to search for yet another store that won't only cater to the privileged. Really awesome strains and staff! This place is one of my favorites. A couple of the guy bud tenders aren’t the friendliest but the 2 girls are always nice and helpful and if they don’t have something they will recommend something else. They also do a Costco card discount, which is nice. I prefer this store over the larger huge shops. It’s more local and friendly with the same ppl helping me. Not a new face every time I come in. All they need is a better selection of higher cbd flower and or 1 to 1. They had some real nice CBD dream from Millennial Green, but not much else the last time I was in. Hi! I really didn't understand the review you left. We had a special on a strain but we tried to upsell you on something in the back? That makes no sense. Maybe the bud tender was just trying to give you something comparable to what you were asking for. Suggestions on alternatives are often given if/ when we run out of something. Especially a popular item. My Apologies if this was the case. We do have fresh stock of product waiting to be released but because of the traceability issue that the I502 industry is facing right now as a whole, we were unable to release it on our end for sale. I'm sorry this was your experience but it would have been illegal to sell you the product you were looking for at the time. We always try to remain in good standing with the WLCB in order to continue to operate our business. We hope you understand. Thanks! Parking is a little messed up, but everything else was fantastic. Loved the Costco and Veteran Discount offers! 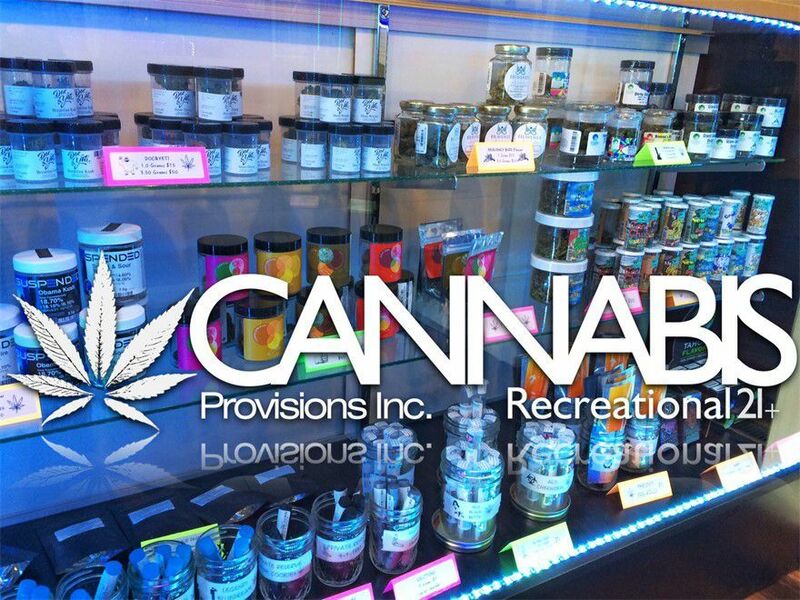 My wife and I are regulars here and it's always fantastic, great vibe, super nice and helpful budtenders, solid prices and vast selection. They recently moved downstairs and it's now got a really great flow to the space. I always send friends this way. We tried going here after breakfast on the weekend and it was almost comical. There are only 3 spots to park in and a huge truck double parked. Finally got inside after someone left and it was small, crowded, and after 5 min no one had even greeted us so we left. The prices looked similar to elsewhere but the headache of parking and lack of a greeting won’t have us coming back. I've shopped here a few times but the last time my guy went in to buy, the budtender gave him the opposite of what was asked for. He wanted a sativa dominant hybrid and asked for such because with our busy lives Indica is not good for daytime use... they gave him indica. I'm disappointed in the lack of knowledge or the laze of employee that didn't take the time to help him properly. I will be making sure next time I m there since I seem to know more about bud than the tender did!